Since forming Istanbul Doors in 1993, Levent Büyükuğur has quietly revolutionised Istanbul’s nightlife and restaurant scene. His diners and clubs, Changa, Lucca, Kitchenette and Angelique among them, are bywords for sophisticated quality, while his compatriots have also been treated to new culinary delights through his introduction of international chains such as Zuma to Turkey. In 20 years, his company grew to own to 42 restaurants, a hotel and a culinary academy. 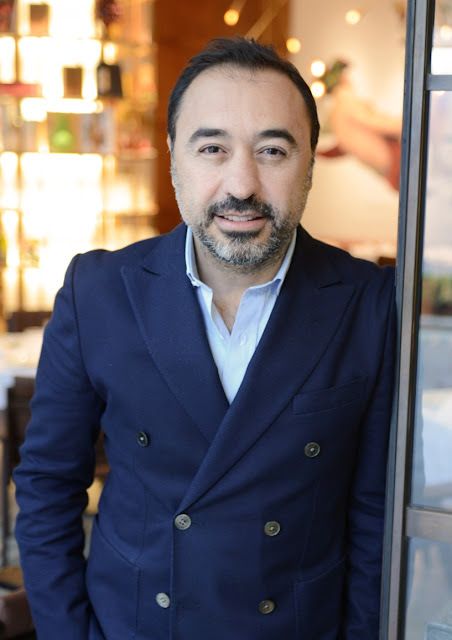 Having handed the reins to his successors, Büyükuğur is now concentrating on his new hospitality group the Good Food Society that he formed in 2014 with Sanjay Nandi. Their latest venture is Ristorante Frescobaldi, a high-end Italian diner specialising in Tuscan cuisine, created through a partnership with Diana Frescobaldi who heads one of Europe’s oldest and finest wine dynasties, which date back to the 1300s. You’re behind some of Istanbul’s coolest and most successful establishments. What tempted you to get involved in Frescobaldi? I was introduced to the Frescobaldi family six years ago. 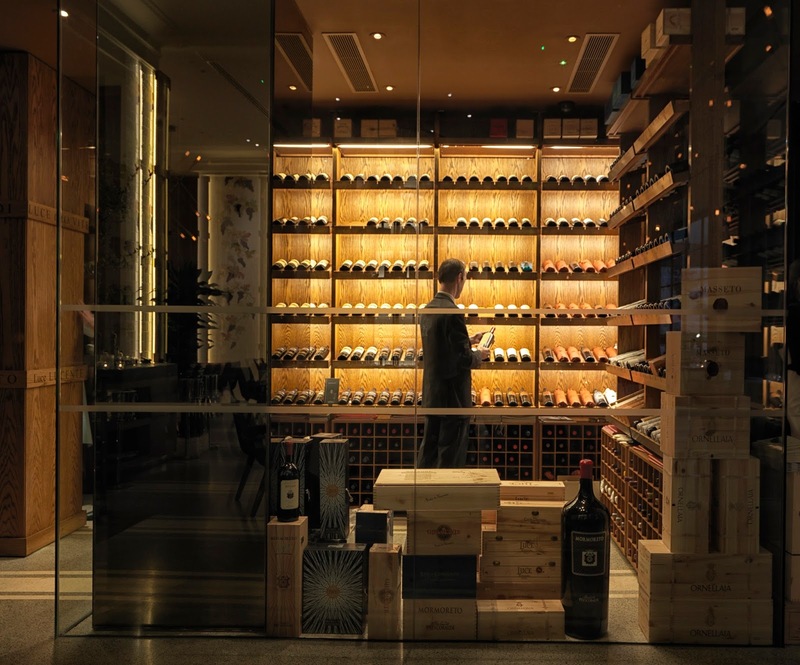 Having always loved their wine and their incredible history, I thought it would be a great idea to instigate a collaboration showcasing their fantastic wine alongside fine Italian cuisine. London seemed to be the best place for the first restaurant. 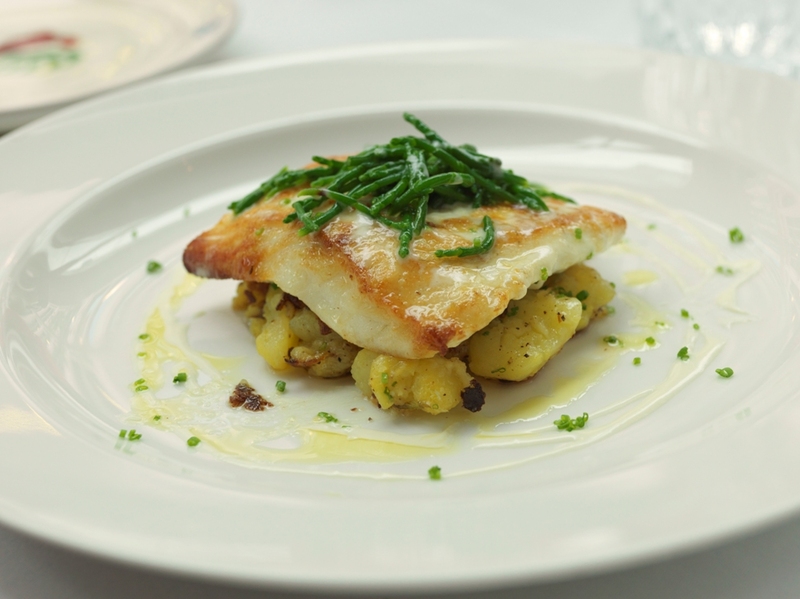 How did the heritage of the Frescobaldi family influence the restaurant? Their family history was key to the restaurant, not just in relation to the food and drink, but the interiors too. My partner and I worked closely with the design team to replicate a warm and homely atmosphere, one that would mirror the feel of the Tuscan countryside. What makes Ristorante Frescobaldi different to other Italian restaurants? We offer a complete dining experience. Diners don’t come just for the food, but to taste some of the best vintages that the Frescobaldi family has been producing for centuries. Unusually we also offer most of the wines by the glass, even our Cru varieties and "Super Tuscans" such as Ornellaia. In addition, the menu has distinctive Tuscan specialities, which are very attractive to Londoners. Why do you think Italian cuisine is so popular with Turks? This is probably due in part to the fact that many Italian dishes use fresh seasonal ingredients to create delicious flavours and that they are also warm and comforting, all elements which are representative of Turkish food too. I personally think that Mediterranean cuisine is one of the finest in the world. In fact the first restaurant that I opened in Istanbul was Italian. What on talented young chef Roberto Reatini’s menu would you recommend? We have been very lucky to have Roberto leading the culinary team at Frescobaldi. His knowledge of classic Italian dishes is exceptional, but he also has this ability to bring a contemporary twist to his creations. I particularly like the Pappardelle con guancia di vitello e pane al rosmarino (Veal cheek pappardelle with rosemary bread) and the Rombo arrosto con patate novelle, salicornia e salsa al limone (Roasted turbot with new potatoes, samphire and lemon sauce). How would you compare London and Istanbul when it comes to food and nightlife? I consider London to be one of the best cities in the world for dining, with a uniquely exceptional depth and breadth of restaurants. You can find any type of food at any price from any region of the world at almost any time of the day and night. London and Istanbul are very different on several levels – culture, cuisine and climate to name but three – and I always miss one or both when I travel. Read Leyla Kazim's review of the restaurant here. 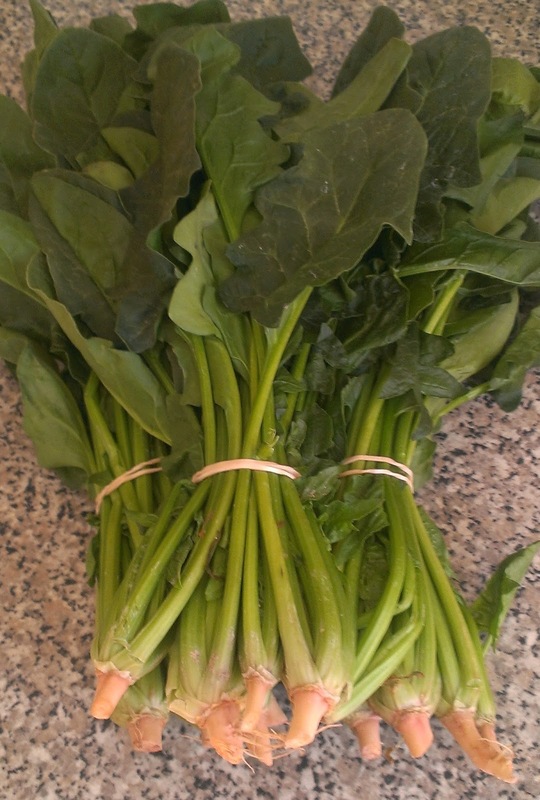 Currently in season, spinach is a versatile, tasty and highly nutritious plant that can be found in numerous Turkish dishes, from soups to börek. 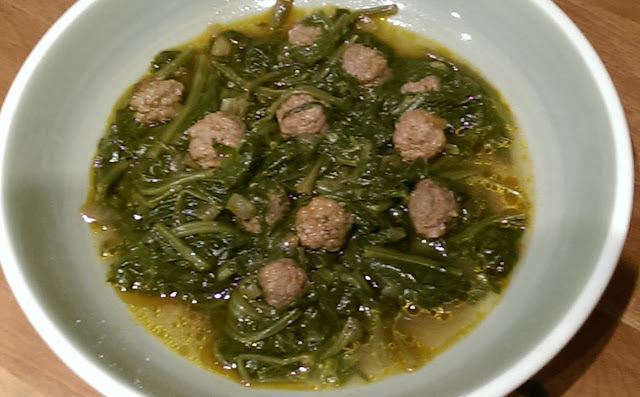 This comforting homemade spinach and meatball stew is a Naciye Nene speciality. There are numerous Turkish variations to this ıspanak dish: many omit the meatballs and instead use rice. Naciye Nene opts for golden brown nuggets of meat that are nestled among the lush green leaf all bobbing on a light tomato sauce. When shopping for spinach, pick bunches that have crisp, bright green leaves with no yellowing or bruised patches, and store in a plastic bag in a cool dry space or the refrigerator for a maximum of three days. Prepping fresh spinach takes considerable time, but you can really taste the difference between this and frozen or pre-cut spinach. 1. Spinach grows in sandy soil beds and its hollow stems often retain the soil, so it is vital to wash the leaves carefully to ensure all the dirt and sand are removed. 2. First wash: chop off the plant roots, then run your thumb up the groove of each stem, to open them out and rinse under warm water. 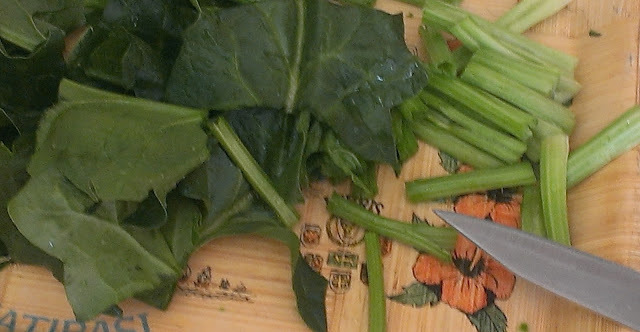 Cut each leaf and stem into 3 cm long pieces and place all in a big bowl of clean water. 3. Gently wash the cut spinach as if washing clothes, turning the leaves over in the water a few times. Drain the leaves and put in a large high-sided tepsi (tray). Wash out any dirt in the big bowl and repeat. 4. Boil water and pour over the cleaned spinach leaves and stems in the tepsi – enough to cover them - and leave for 4-5 minutes so the leaves can wilt (it also helps kill off the bitter taste from any mature leaves). 5. Heat the sunflower oil in a large pan and add in the finely chopped onion. Fry until soft, then add in the tomato purée. Mix together. 6. Drain the spinach and add into the pan a large handful at a time. Cook the leaves over a medium-high heat. 7. When the spinach reduces, add cold water – enough to cover all. Stir in 1 teaspoon of salt. 8. Rinse minced beef under water (to remove any blood), drain and place in a mixing bowl. Season the meat with a large pinch of salt, pepper and cumin, then knead all like dough, so mince binds together. Take a pinch of mince into palm of hand and roll into small meatballs – no more than 2cm in diameter. 9. When all meatballs are done, drop them into the pan one at a time, starting from the outside edge forming concentric circles as you work your way into the centre. If there are still more meatballs to add in, using the back of a wooden spoon, gently push down on the existing meatballs, then drop in the remaining meatballs over the top. Prod all protruding meatballs so they are immersed in the tomato stew – even if the bob back up. 10. Cover and simmer over a low heat for an hour. Check to ensure the pan does not dry out. Add in half-cup of cold water if so and stir all gently. 11. Serve hot with lashings of thick, creamy süzme yogurt and hunks of Turkish bread on the side, and tuck into a delicious, healthy meal. Afiyet olsun! Her debut release ‘13’ is an assured, yet intense album, dealing with assorted issues, from child abuse to loneliness. Tight Turkish Folk-Rock arrangements tread familiar ground. 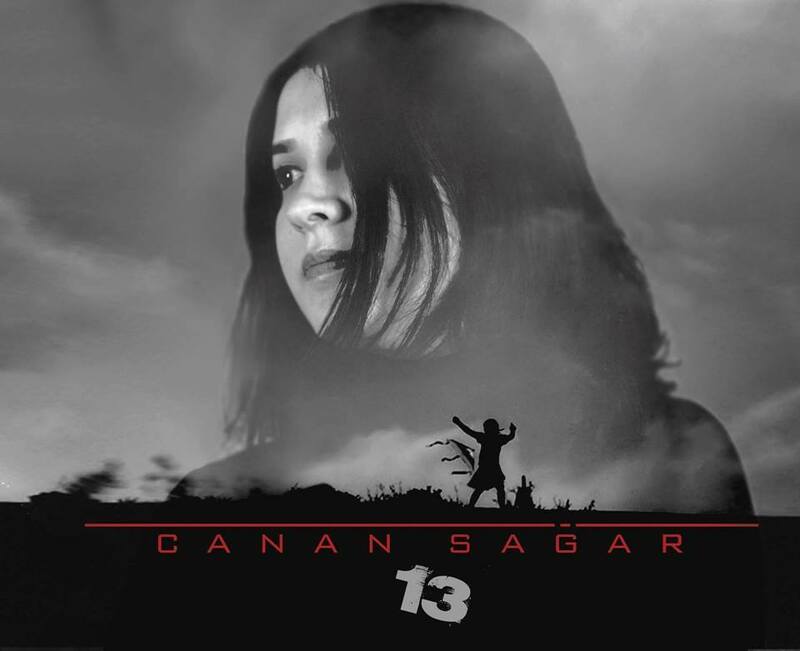 What carries the album are Canan’s poignant, self-penned lyrics and powerful vocals, moving effortlessly from tender ballads to fiery missives, making each of her 13 tracks compelling listening. My family is from Sivas – a province in central Turkey. I came to the UK when I was nearly two years old (in 1981). We moved back to Istanbul where I spent part of my childhood, returning to London in 1987. I come from a working class family. My grandparents migrated from their villages to Istanbul in the late 1960s. My parents married there and came to London in 1975 but they always missed ‘home’. They moved back a few times, but due to the political and economical climate in Turkey, they decided to raise my brother and me in the UK. I am married and have no children at the moment. I live with two cats that I adore. 3. You sing, write & play the guitar. Anything else? Well, I can also play a bit of saz (a traditional Turkish stringed instrument) and sing traditional songs. However, I keep this to myself and just perform at home with close friends and family. 4. How did you get into music? When I was in primary school I loved music and wanted to learn to play the piano. My parents were very supportive, but the piano teacher we found returned to his country and that was the end of that. In 1993, while I was at secondary school my father bought me a saz and hired a private teacher. I took lessons and started to perform in concerts organised by the Alevi Cultural Centre and Cemevi (Alevi house of worship). 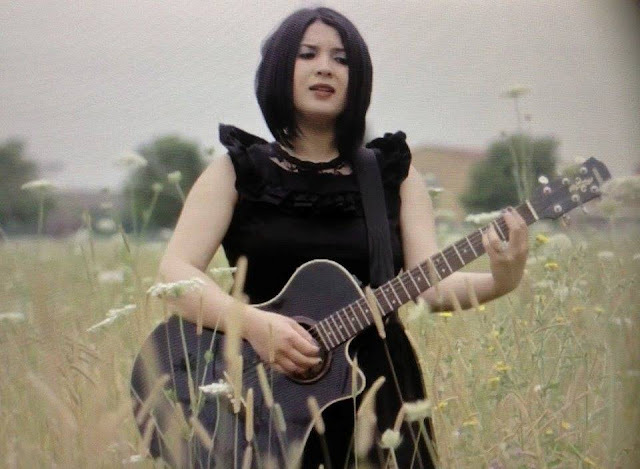 My journey started with traditional folk music, but developed as I learned to play the guitar and write modern songs. It’s a mixture of Pop, Rock, Folk and Jazz. Each song has its own style, which my music director Murat Corak helped to develop. He encouraged the use of different instruments in the arrangements, which we mainly recorded in Marsandiz (a major studio) in Turkey. I write my own songs and most on the album were written ten years ago during a very difficult period in my life, when I would question everything around me and in the world. 13 is a very special song because it relates to child sexual abuse. I want to raise awareness as it is a growing problem in our male-dominated society. Kanatsız Gökyüzünde (Anne) is one of the very first songs I wrote. Society has huge expectations of children as they grow up, so you can end up severely depressed. Even if you express your views freely, you can end up feeling really lonely, so the child hankers for its mother, the only person it has a strong bond with. 6. ‘13’ is regarded as unlucky, so how did it come to be your album’s name? It was very difficult to decide on the album name. 13 is the most important song as it covers a major global issue. Society may class ‘13’ as unlucky and there is sadness in the song, but the chorus tries to give hope too. Child abuse happens everywhere in the world. The majority of the victims are girls and different societies deal with the issue in different ways. This album is my way of saying ‘STOP’! 7. Who are your musical influences and idols? I grew up listening to Cem Karaca and loved his songs. They resembled real life stories about the lives of ordinary people. 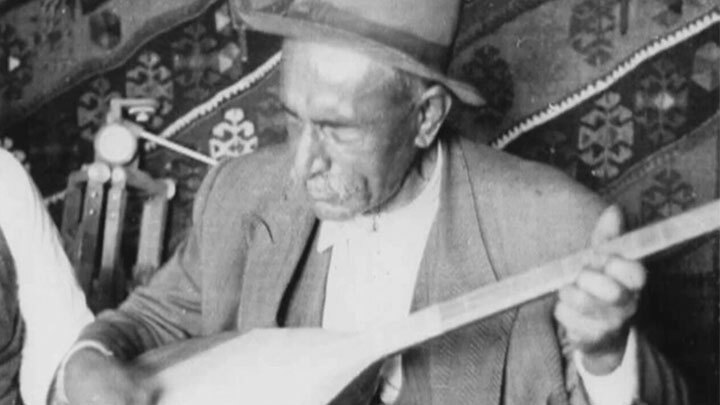 Traditional songs by the ozans (poets) of Turkey, such as Aşık Veysel, Mahsuni Şerif and Pir Sultan Abdal, also influenced me. Their lyrics embraced the problems facing societies and they paid a price for doing this. 8. Do you listen to British artists? Although I’m in the UK, I feel closer to the culture of my roots. I don’t watch television and don’t really know about the current UK music scene. I listened to a lot of Pink Floyd, Led Zeppelin, Nirvana, Beatles, and Elvis Priestley, and I still enjoy their music the most. 9. You work for an accountancy firm – what does your boss make of your budding music career? I’ve been a senior administrator at Accounting Direct Plus for the past six years. My boss Enver Kannur is very supportive. He has listened to my performances and came to my album launch. 10. You write for a socialist satirical magazine in Turkey called RED. Why does this ideology appeal to you? I have researched and written extensively about the struggle and the division of people; the 1% that live in their rich bubble and the 99% that struggle to eat, take shelter and survive. This inequality is foreseen and must be spoken about far more to raise awareness about the oppressed. We live in a capitalist city and although I try to avoid many of the situations that it pulls us into, there are a lot of things that I still can’t escape from. Writing for RED was an amazing experience for me to learn more about the sorrows of the poor, inspiring me as a singer/songwriter who tells the bitter pains of societies. The long-running campaign to give the TRNC’s overseas citizens the right to vote in elections and to be represented in the TRNC Parliament is taking a major step forward when campaigners outline proposals for a new expatriate (expat) voting model at two London seminars this week. Organised by the Council of Turkish Cypriot Associations UK (KONSEY) – one of the major backers of the ‘Seçme ve Seçilme’ campaign – the seminars will be addressed by lawyer Osman Kasapoğlu (pictured), who will explain how his extensive studies into the practices of other European Union countries helped him to create a suitable voting model for the TRNC. This model, Kasapoğlu claims, overcomes concerns commonly raised by those living in North Cyprus who fear that overseas voters could dictate the future of North Cyprus, without compromising on the democratic voting and representational rights of the TRNC’s considerable expat community. Currently only two EU states – Cyprus (both North and South) and Ireland – refuse to allow their Diaspora the right to vote. All other European countries have created a mechanism for their overseas citizens to participate in elections in their homeland. Turkey also introduced voting rights for its expats in 2012. States such as Slovenia and Italy apparently also had concerns that their large expat communities could hold the balance of power over domestic political developments and implemented rules to prevent this. By examining their expat election rules, Kasapoğlu believes he has created the optimum model for North Cyprus, which he will explain at the two London briefings. The first event will be in Catford, southeast London, and the other in Harringay, North London. 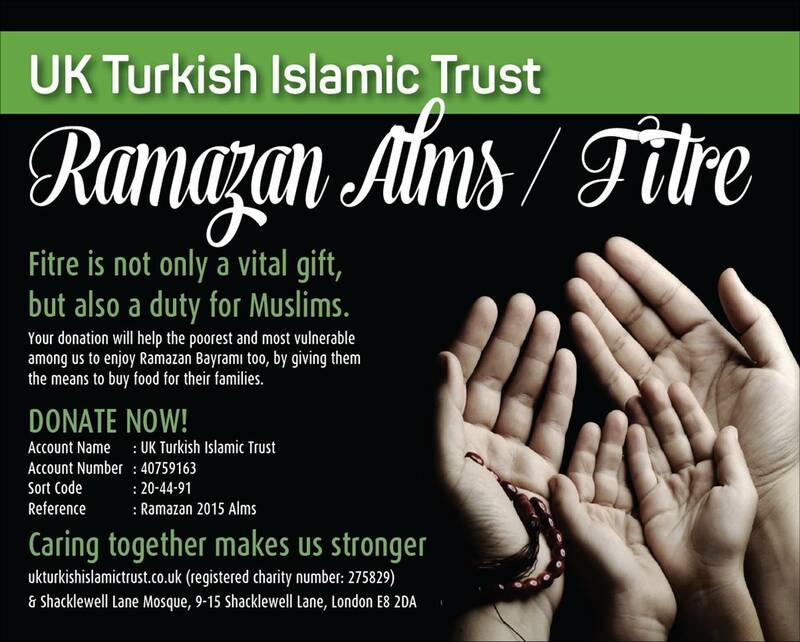 Both events will be in Turkish and are free to attend. No prior reservations are needed. Turkish Airlines has again been chosen "Best Airline in Europe" in this year’s Skytrax World Airline Awards. 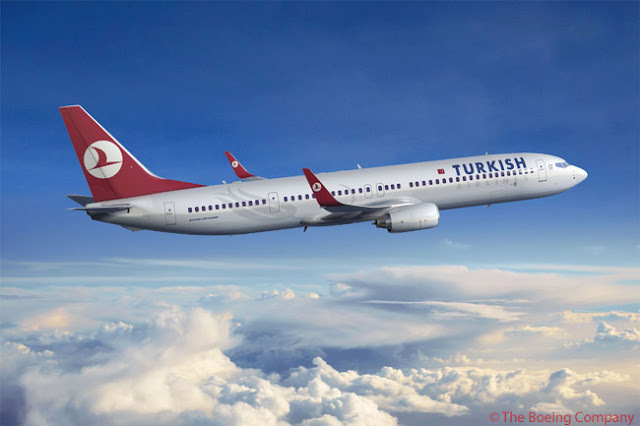 Turkey’s leading airline came top among European airlines for the fifth year running, beating the likes of Lufthansa, Swiss Int'l Air Lines, Air France and British Airways. Launched in 1999, Skytrax’s World Airline Awards have become the ‘Oscars’ of the airline industry, both coveted Quality accolades and a global benchmark of airline excellence. 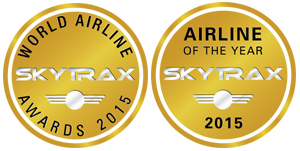 Skytrax tracks votes from global airline customers, which annually determine the world top 100 airlines. Customers give a score out of 10 based on their satisfaction of a range of services airlines provide, from seat comfort, to cabin staff service, airline food and beverages, in-flight entertainment and ground service. Qatar Airlines topped Skytrax’s 2015 world rankings, with Turkish Airlines listed at fourth – up one place on its 2014 ranking. The next leading European airline in this year’s list of the World’s Top 100 Airlines was Lufthansa, which ranks 12th in the world. At the awards ceremony in Paris last week, Skytrax World Airline Awards also awarded Turkish Airlines the "World's Best Business Class Airline Lounge", the "World's Best Business Class Lounge Dining" and World's Best Business Class Airline Catering”. A Star Alliance member, which brings together 27 of the world’s leading airlines, Turkish Airlines has a fleet of 279 passenger and cargo aircrafts flying to 274 domestic and international destinations. Turkish Airlines also saw its passenger numbers shoot up by 8.7% in the first five months of 2015. The carrier flew 23.2 million passengers, up from 21.4 million during the same period in 2014. On Sunday, North Cyprus’ largest political party voted in a new leader and a new national executive committee. Mehmet Ali Talat returns as head of the Republican Turkish Party (CTP), which he formerly led between 1996 and 2005, while Turfan Erhürman is the party’s new General Secretary. 835 members took part in the party congress on Sunday 14 June. 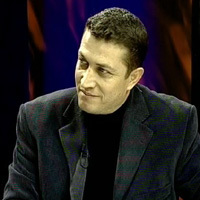 Erhürman was unopposed and returned unanimously. 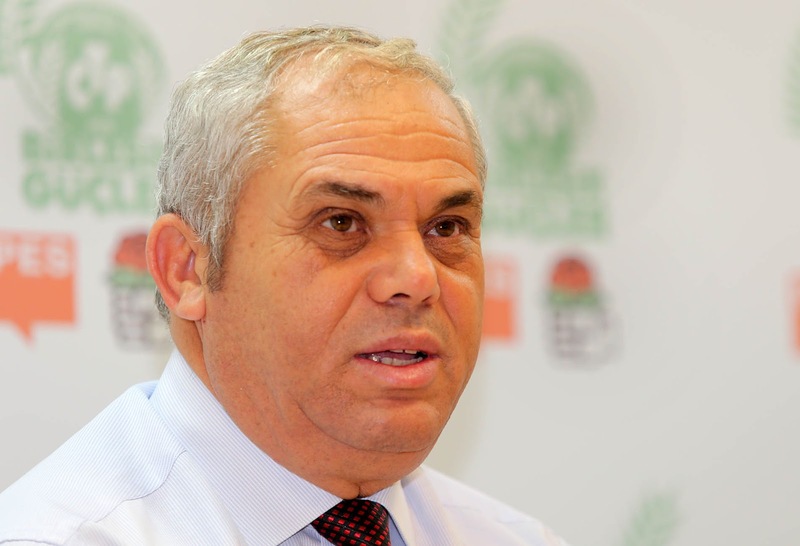 The TRNC’s Prime Minister and party leader Özkan Yorgancıoğlu decided not to enter the CTP leadership race, leaving Talat to stand against Yaşar Oduncuoğlu. Talat won convincingly, polling 727 votes to Oduncuoğlu’s 93, with 15 spoiled papers. The congress was watched by Prime Minister Yorgancıoğlu, who remained at the back of the room during proceedings. After his re-selection as party leader Talat said he had asked the TRNC Prime Minister not to resign, but to work together with him to help reform the party. 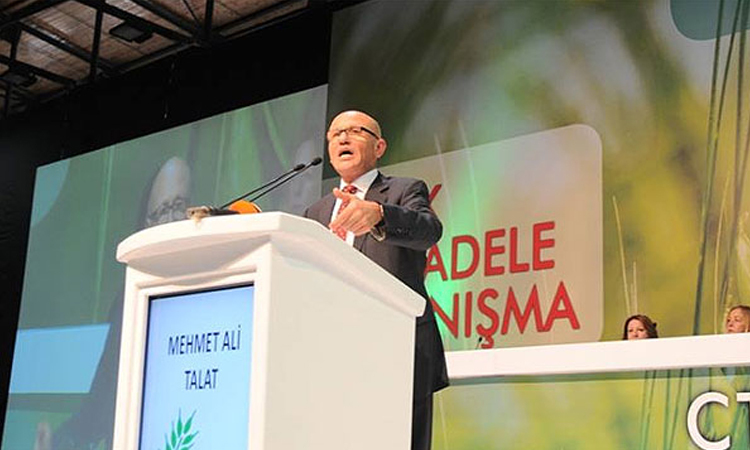 In recent years, CTP has experienced several acrimonious splits among party members, with many openly criticising Yorgancıoğlu for ‘poor leadership’. In 2014, Yorgancıoğlu had presided over CTP’s decision to select Dr Sibel Siber as its Presidential candidate over former TRNC President Talat. 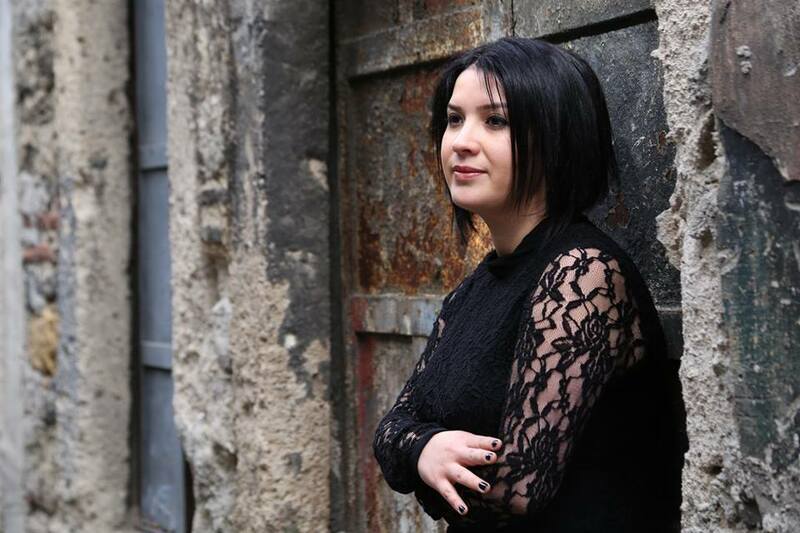 Siber was knocked out in the first round of the 2015 Presidential elections, which was won in the run-off by another left-wing candidate, TDP’s Mustafa Akıncı. He added that among his primary priorities is creating a just society, which in turn should help restore confidence among Turkish Cypriots in their political system and politicians. He also wants North Cyprus to have a strong and sustainable economy, and also to prepare Turkish Cypriots for a comprehensive solution to the Cyprus problem. To achieve this ambitious programme, Talat said his party had to “erase its internal divisions”. Mehmet Ali Talat served TRNC President from 2005-2010. Prior to that, as TRNC Prime Minister he had led the Turkish Cypriot people to vote ‘yes’ in the historic 2004 referendum on the internationally-backed Annan Plan, which aimed to unite Cyprus. Due to the Greek Cypriot ‘no’ vote, the island remains divided. New UN-supported talks are now under way between the two sides. “Cometh the hour, cometh the man” …Rauf Denktaş through his own eyes. In their hour of need, Great Britain had Churchill, and the TRNC had Rauf Denktaş (RD), its Founding President – a comparison which diminishes neither man. 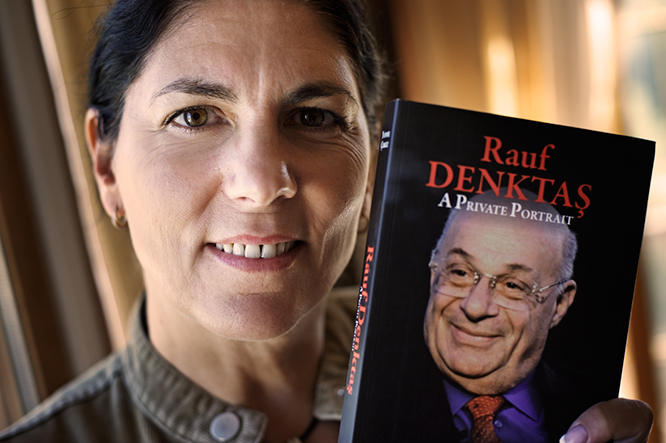 So a new biography, which had RD’s full support and co-operation, is an important addition to the annals of Turkish Cyprus. I had the privilege of meeting RD several times over three decades, and can confirm that this pen-portrait does full justice to his urbanity, good humour, and immense intellectual grasp. He needed all these to deal with the niceties of domestic politics while grasping firmly what had to be achieved on the world stage. Simply, there was no-one else on the island capable of combining such intellectual qualities. But what the book also brings out are the personal tragedies that he had to deal with, both as a child and throughout his life, in what was at times clearly a very lonely and threatened existence. Even his detractors acknowledge that he had extraordinary personal strength of character and ability to survive. Of course there are omissions, and points glossed over: but that’s family life for you, and this is how RD wanted to be remembered. How the book will be rated by historians and analysts will take years to establish. But what is certain is that, with such a wealth of personal detail and anecdote, love him or hate him, this is a book you need to buy if you have the slightest interest in one of those rare individuals who clearly shaped history. 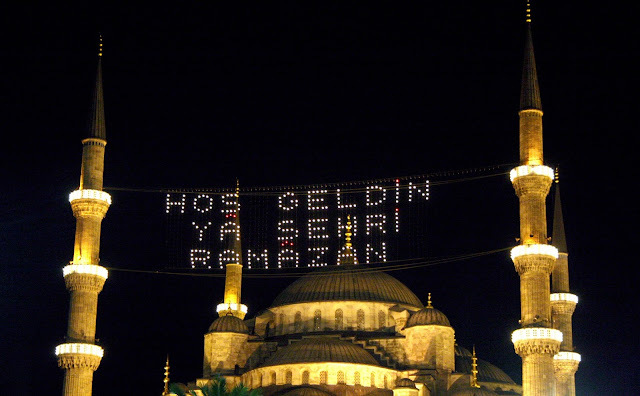 Described in Turkish as ‘12 ayın sultanı’ (the queen of 12 months), Ramazan is the holiest month in the Islamic calendar. Starting today, during this 30-day period Muslims will fast between the hours of sunrise and sunset as they consciously reconnect with God (Allah) and their faith. Any good deeds and all prayers during this time count for double. In 2015, Ramazan runs from 18 June to 16 July. The dates are set by the lunar calendar; those in the West following the Gregorian calendar will find the dates shift forward by about 10 days each year. T-VINE asked Abdul Abduallah, the imam of Shacklewell Lane Mosque – the UK’s first Turkish-owned mosque – to explain what happens during this holy month. What else do Muslims do during Ramazan other than fast? 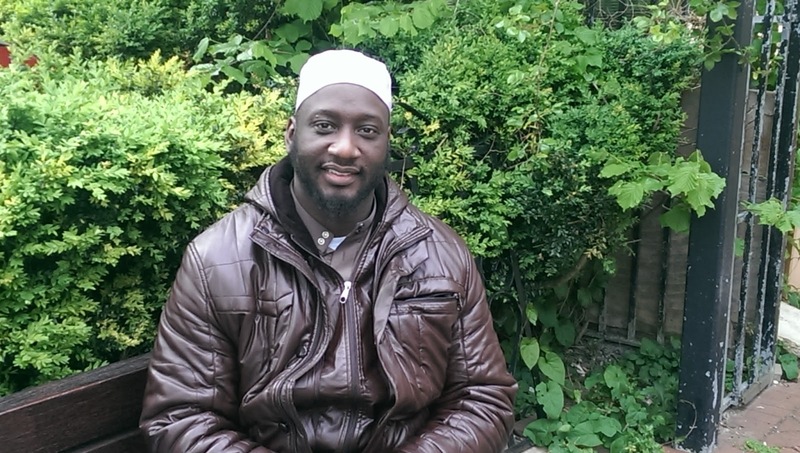 Why do good deeds count for double? And what if you repeat your sinful ways? Why do Muslims give fıtre? One of Cyprus’ best loved brands will be on show at London’s premier gourmet food event – Taste of London at Regent’s Park, which starts today and runs until this Sunday, 21 June. 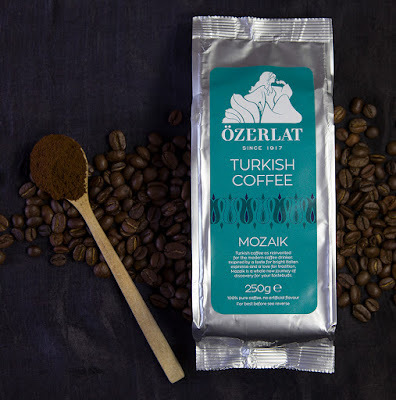 Özerlat is launching a new premium Turkish coffee range with two new blends developed especially for British coffee drinkers. Located in the Cypriot capital Lefkoşa, the Özerlat family has been producing gourmet Turkish coffee since 1917. They have become renowned island-wide for their coffee’s distinctive flavours crafted using only the highest quality coffee beans, which are then roasted and ground to precisely the right strength and texture. For some years, the artisan coffee maker’s products have been available in London at selected Turkish restaurants (Cyprus Garden, Kazan) and speciality ethnic supermarkets (including Yasar Hallim). 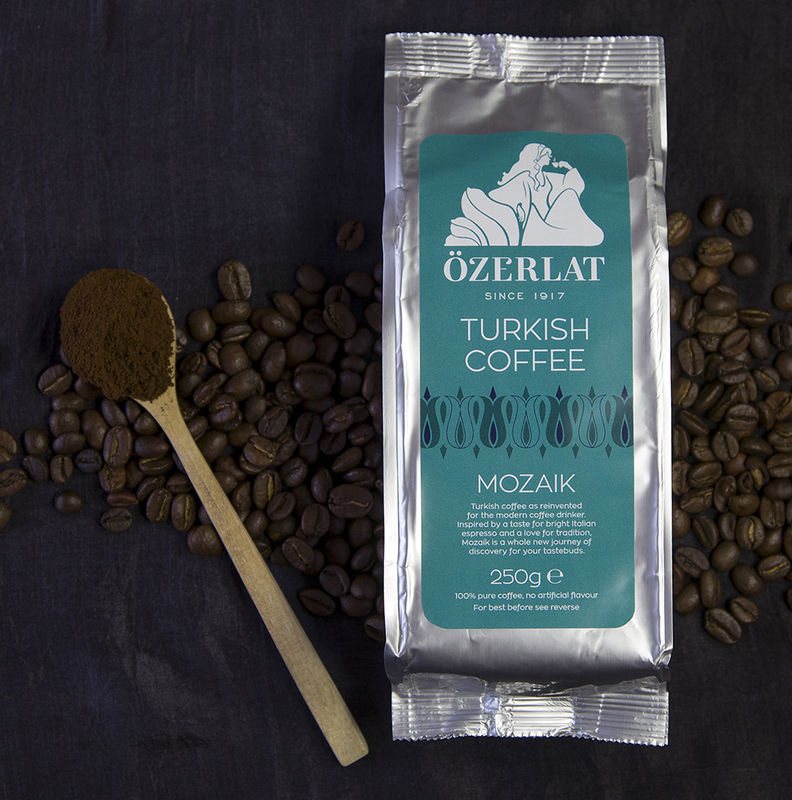 However, with the UK coffee market continuing to expand, the Özerlat UK team wanted even more Britons to enjoy the pleasures of Turkish coffee. Coffee’s origins can be traced back to the Ottoman Empire. Many were drawn to its stimulating properties, and the popularity of the drink quickly travelled from the drinking dens of Lebanon and North Africa to the Ottoman Court in Istanbul. As more visiting dignitaries sampled the drink, demand for Turkish coffee abroad grew, prompting traders to bring the product to Europe in the sixteenth and seventeenth centuries. The UK’s first coffee house was opened by an Ottoman Jew in Oxford in 1650. Many more opened soon after in London and beyond, often using the name Turk’s Head Coffee House. 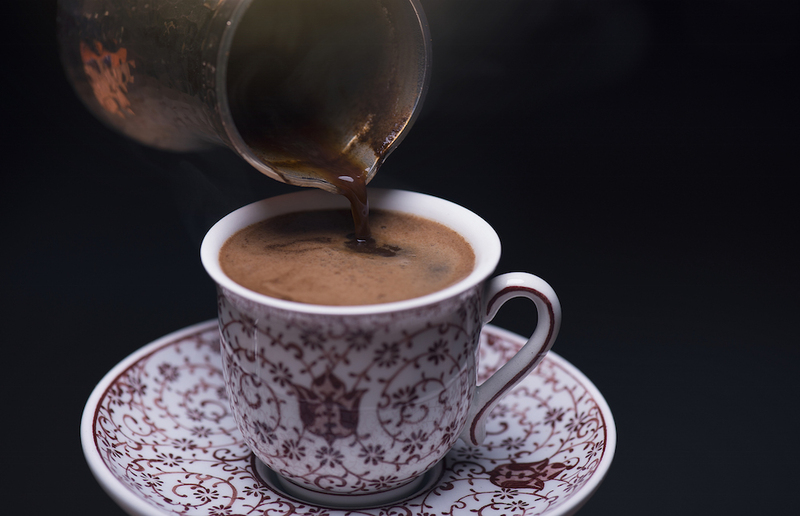 Cyprus’s oldest coffee brand intends to help Britons rekindle their love of Turkish coffee. As part of launching their new premium coffee range, Özerlat have also taken the opportunity to rebrand themselves. Working with a British design agency, the coffee brand have a stylish new logo, an illustration of a woman sipping coffee, which adorns their packaging, along with two vibrant colours for their two new blends: turquoise blue for Mozaik and caramel for Heritage. The new look will make its debut at Taste of London this week, where visitors will be able to watch demonstrations, as well as be inspired by Özerlat’s creative serving suggestions. The new blends can be bought together with beautiful, specially-designed handmade fincans (demitasse) coffee cups and cezve, which are also available to UK buyers online at ozerlat.com. Running since 2004, Taste of London is a five-day celebration of the finest food and drink the capital has to offer. Last year, 55,000 people attended the festival where the capital’s hottest restaurants showcase their signature dishes, while Michelin-starred chefs such as Michel Roux Jr and Marcus Wareing host live demonstrations. Visitors can watch, taste and join in master classes, as well as sample unique ingredients and buy products in the gourmet food and drinks market. 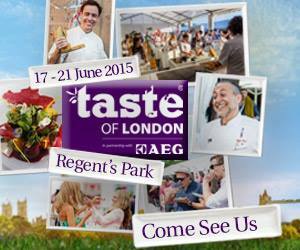 Tickets are priced £21-£28, depending on the day and time you visit, and available from Taste of London. Visitors need to also purchase vouchers (called ‘crowns’) in blocks of £10 to use at stands, or they can pre-buy with a discount when they book their entry ticket.